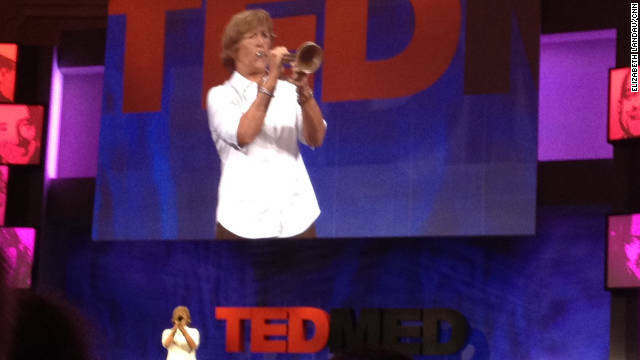 Diana Nyad may have had some setbacks this summer while attempting to swim from Cuba to Florida, but her journey isn't over yet, she said Wednesday. "I can swim from Cuba to Florida, and I will swim from Cuba to Florida," she said at the TEDMED conference in Coronado, California. Nyad received a standing ovation after her inspirational presentation. 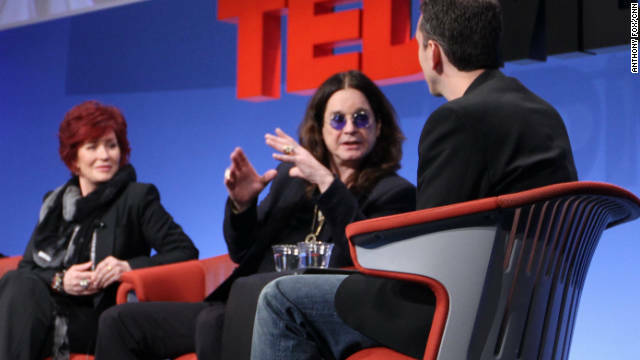 Ozzy and Sharon Osbourne spoke about genome sequencing at TEDMED 2010. Where can you learn about the latest innovations in technology, science, health and medical research from the people behind the discoveries - some of the most influential thought leaders in their fields? At TEDMED, the annual meeting of minds taking place this week at the Hotel del Coronado near San Diego. CNNHealth will be there, blogging and tweeting and generally keeping you in the loop. Bloblike sea creatures, the jellyfish and the Portuguese man-of-war thwarted Diana Nyad’s attempt to swim from Cuba to Florida on Sunday. After the swim, Nyad’s face appeared swollen and she had sting marks across her arm, where she had tussled with the various sea creatures. Nyad said their toxins began to cause partial paralysis and made it increasingly difficult for her to breathe and continue the swim. Distance swimmer Diana Nyad has ended her latest record attempt. CNN Medical News producer Matt Sloane reports that she came out of the water Sunday shortly after 11 a.m. ET. Injuries she suffered Saturday evening caused her to get off course, her team Captain Mark Sollinger told CNN. Her blog also reported the decision. Come back to CNN.com for more updates. 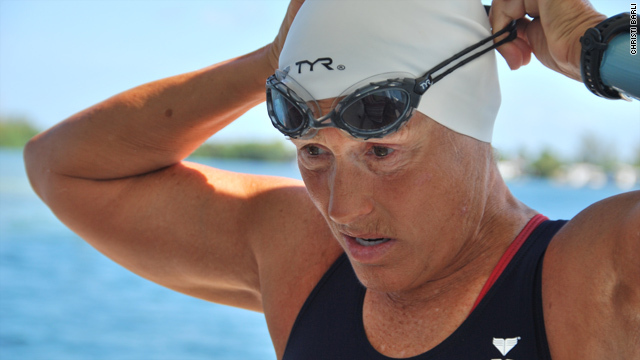 Sunday update: After nighttime drama, Diana Nyad is still swimming Sunday morning. She came out of the water just before 10 p.m. Saturday, to receive medical treatment for more stings, this time to her face and eyes. She resumed the swim a couple of hours later, at the spot where she came out, her handlers reported. CNN journalists headed out from Key West, Florida, on Sunday morning and expect to reach Nyad around midday. Follow @MattCNN, And come back to CNN.com for updates. We told the story of Diana Nyad's milestone August swim in an hourlong documentary, Diana Nyad: Xtreme Dream. On that attempt she was pulled from the water after 29 hours. She began this swim just after 6 p.m. Friday in Havana, Cuba. CNN told the story of Diana Nyad's milestone August swim in an hourlong documentary last weekend, Diana Nyad: Xtreme Dream. On Friday night, Nyad began yet another chapter, jumping into the water in Havana, Cuba, trying once more to set a distance record for open-water swimming without a shark cage. 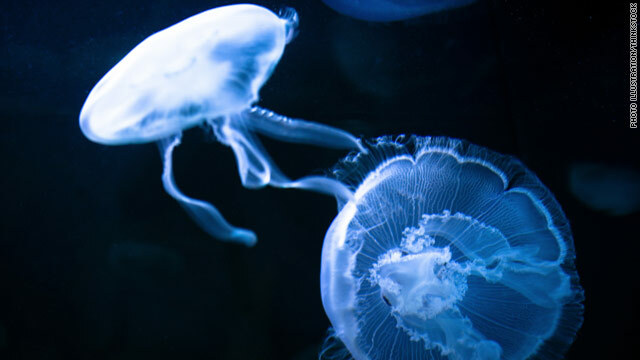 Friday night, she was stung multiple times by a Portuguese man-of-war, according to her blog, and on Saturday morning, the blog said, she was struggling in the water, believing she was not getting adequate oxygen to her muscles. Just before 9 a.m. Saturday, her handlers tweeted that she was about 25 miles off Cuba. Her team expects the 100-mile-plus swim will take as long as 60 hours. In the August attempt, she was pulled her from the water after almost 29 hours. Endurance swimmer Diana Nyad hugged friends and waved at admirers at Havana’s Hemingway Marina before she jumped in the water at 6:04 p.m., hoping her third attempt to swim to Florida would end in success. “I think at the age of 62 I honestly believe I'm in the best shape of my whole life, not just of the last two years,” she told reporters. She expects the 100-plus mile swim to take close to 60 hours. That would put her into Florida sometime Monday. Nyad attempted this swim in early August and had to be pulled from the water after some 60 miles, and almost 29 hours of swimming. She blamed a shoulder injury she suffered early in the journey, and an 11-hour-long asthma attack. Nyad says she believes the asthma attack followed an allergic reaction to pain medication she took for the shoulder injury. Editor's note: Dr. Sanjay Gupta follows Diana Nyad while she attempted to break a world record, swimming without a shark cage from Cuba to Florida. 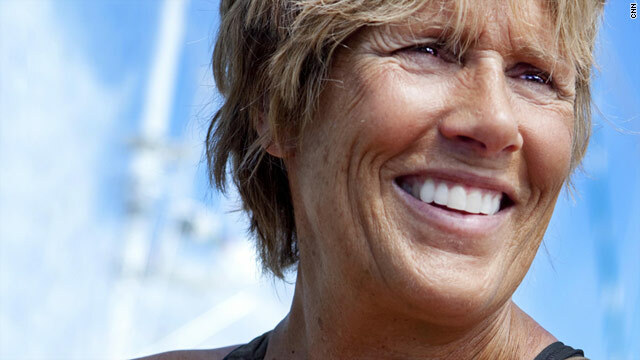 Tune in to "Diana Nyad: Xtreme Dream" at 8 and 11 p.m. ET Saturday and at 2 a.m. ET Sunday on CNN. "Sanjay Gupta MD" airs at 7:30 a.m. ET Saturdays and Sundays on CNN. When any of us looks back at extended-effort periods of our lives, what are we left with, other than the way in which we conducted ourselves, our display of inner character and strength, our class in facing the tough turns in the road? Along with some 30 sterling individuals, I just spent more than two years in pursuit of a near-impossible endeavor: an epic, first-ever swim from Cuba to Florida without a shark cage. We called our expedition the "Xtreme Dream." And "Xtreme" it was. Editor's note: Dr. Sanjay Gupta follows Diana Nyad as she attempts to break a world record, swimming without a shark cage from Cuba to Florida after 30+ years of not swimming. Tune in to DIANA NYAD XTREME DREAM, Saturday September 17 at 8 p.m. & 11 p.m., and Sunday September 18 at 2 a.m. ET. Sanjay Gupta MD airs Saturday and Sunday at 7:30 a.m. ET. For over a year, CNN producers Jennifer Hyde and Matt Sloane followed Nyad’s tenacious pursuit of the XTREME DREAM. In the pre-dawn moments before Diana’s boats arrived in Key West on August 9, Hyde had a special perspective on the scene, the emotions, the lessons learned and the meaning of the effort. As the sun rises, the 75-foot yacht Bellissimo nears shore in Florida, but not as hoped: 61-year-old swimmer Diana Nyad is now on board and no longer in the water. Throughout the vessel, handlers and drivers, photographers, friends and family members are huddled in chairs, under tables and across the decks, catching a few moments of sleep after an emotional night and an exhausting journey. It’s the wind against the water. As our boat, the Gulf Steam surges East, the windows are blowing against the current, whipping the water into choppy 2-3 foot seas. The flat calm of Cuba is gone, conditions turned from perfect to passable. Amidst it all, Diana Nyad keeps swimming at a consistent 52 strokes-per-minute. When the pace slips higher or lower, handlers counting each hand-slap know it’s time to call her in for hydration or food. At Diana’s request, handlers have just changed the schedule to nourish her more often—fluids every 30 minutes and food every hour.